Bermane Stiverne defeated Chris Arreola by sixth round TKO to claim the WBC heavyweight championship. After Klitschko vacated the title in December 2013, Stiverne was signed to fight Chris Arreola for the vacant title. 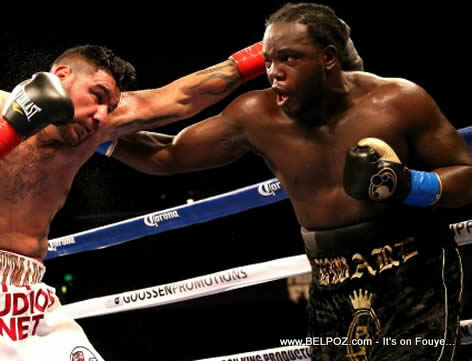 On May 10, 2014, Stiverne won the title after a sixth-round knockout of Arreola, becoming the first Haitian-born boxer to win a world heavyweight championship.